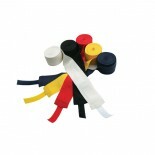 Hand wraps come with hook and loop (Velcro) fasteners and thumb loop for an easy and secure fit. • Sold in pairs. • 190” long. • Colors: Natural, Black, Blue, Red, Yellow. ..
Great for building strength in the wrist, hand, and fingers. A must have item for every martial artist. Flex each finger individually for maximum conditioning and increase coordination skill. Spring tension. 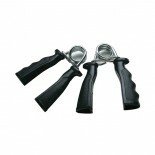 ..
Strong plastic handles, textured and molded to fit your hand. A must have item for all athletes and martial artists. .. Dependable handcuffs when the situation calls for subduing an individual. 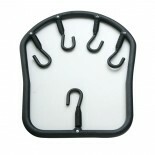 Quality construction made of nickel-plated steel, includes a lock for instant restraint. Single lock handcuffs come with a matching set of keys. ..